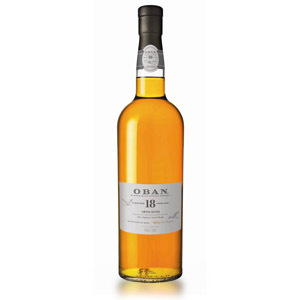 Oban is a Highland malt well known for its gentle, dry, honey-and-fruit character. See my review of the 14-year standard bottling here. Diageo, owners of the tiny distillery, have just announced that they now have enough stock of the older 18 year, which was previously only released as a limited-edition bottling, to make Oban 18 a permanent part of the lineup. As explained by Diageo Senior Master of Whisky Steve Beal at last week’s K&L Whisky Tasting in Redwood City, CA, the Oban distillery is unable to expand its still-room due to the city which has grown up around it. Diageo must make do with the production capacity of only two stills, 6 days a week. 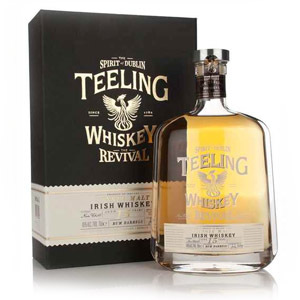 They set aside 300 barrels each year for the Distiller’s Edition (review here), and now 300 barrels a year for the new 18 year-old. K&L in Redwood City currently has this one for the incredible price of $99. Nose: Light honey, lemon peel, candied orange peel, some bright golden apple notes. Light, bright, and sweet aroma. Palate: Smooth but quite dry. Crisp. Caramel apple, orange blossom honey, warm notes of hard apple cider. Very elegant. The dryness does not come off rough, like a young blend, but instead dries the mouth and tingles the palate. Finish: All honey. Raw, local, organic honey. Long and warming. 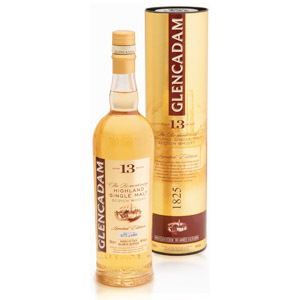 Overall: This is easily as smooth and refined as the Macallan 18, but the dryness and gentle, straightforward flavors make it unchallenging. If you have a penchant for easy-drinking whiskies and a spare $100 to spend (which is a steal), this one is calling out to you. If you’re curious about Oban’s style, the 14 is an exemplar of West Highland malt. Try that first. I’ll be trying this on Wednesday at a tasting, along with the 14 and the DE. I’m looking forward to it. I was given a bottle as a gift from a friend at Diageo here in NYC. I had no idea it was limited and it went quickly and was freely shared. By far my favorite Oban and on my short list. I am happy to see it can still be had. I hope the forthcoming 18 yo is as great as 2008 I just finished last night, after nursing the last half for some months! Oban 18 is exceptional. 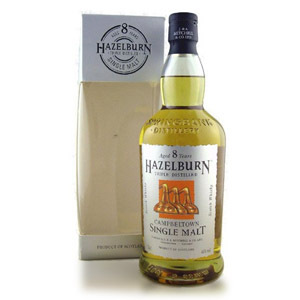 You will not do a mistake with this one if you like single malt. It is up on the top of the pack. I wold not compare Single-malt — it is an acquired taste, changes with given day and state of palatable-health. Cheers Oban ! Just purchased 3 bottles because a local liquor store mistakenly priced the 18 at $65!!! They had it on the other side of the store at $99. But the manager honored his mistake and I gave myself a great Christmas present. Its amazing. 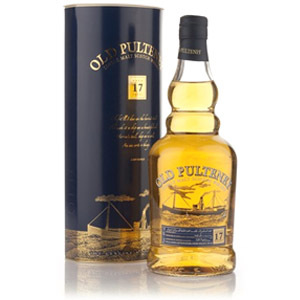 Im pretty new to the single malt world and I thoroughly enjoy the 14. But this is greatness and I am a new lifelong customer. Nice deal you got there! Enjoy, it’s a hell of a malt. Best scotch I’ve ever had. So smooth, notes of banana and honey. I should mention that I am a bit of newbie when it comes to scotch. Never really liked the flavor. Always been a bourbon guy… but damn this stuff is good!! !